Turn Thanksgiving dinner into the next day’s feast! If you have any variety of a Chabaso Ciabatta left over from the holiday meal, follow this easy recipe for a serious turkey sandwich using all your leftovers! 1. Slice ciabatta horizontally and then vertically in about 2-3 sections. 2. 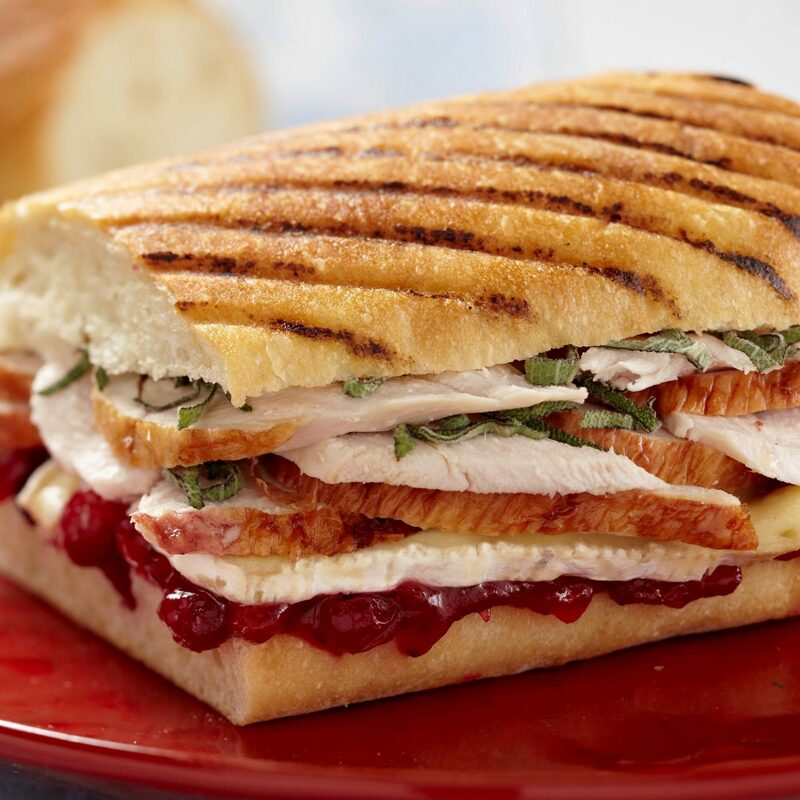 Layer the sandwich with brie, slices of turkey, and cranberry dressing, to taste. 3. Season with salt and pepper and top with chopped sage leaves. 4. Brush butter or olive oil on each side of the sandwich exterior/crust. 5. Toast on a preheated sandwich grill or cast iron skillet, pressing firmly on each side until golden brown and heated thoroughly. Enjoy! Substitute Brie for cold gravy and add turkey stuffing!